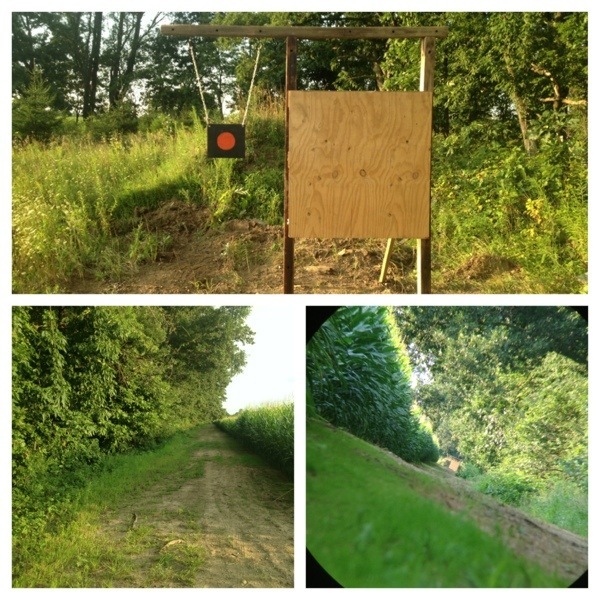 Just wrapped up building the new target for my 600 yard shooting range. Turned out really well with the steel swinging target for farther shots. Really looking forward to breaking her in this weekend with Rocket and his sniper buddy from the army. With the corn in the field it almost creates a tunnel to shoot in which is going to be really nice for testing out my new predator loads on my 17 and 223. Going to be really nice to get the gunpowder level up a bit. 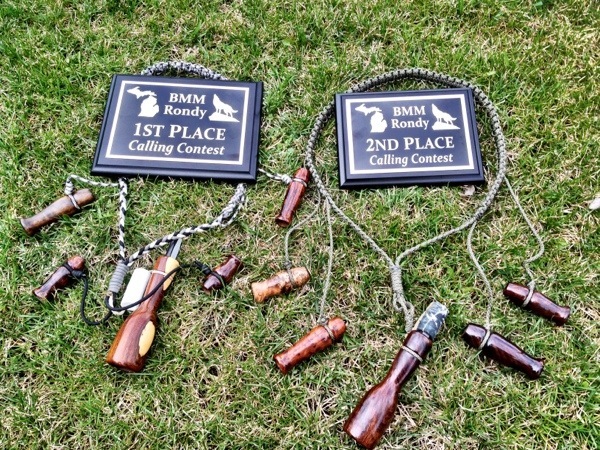 Opie and I traveled to the Michigan Predator Calling Rondy this past weekend bringing home the title in the predator calling competition. 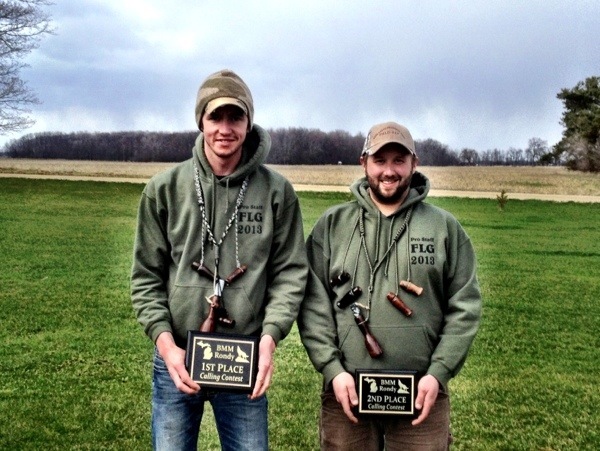 We finished first and second in a talent packed field of predator callers. 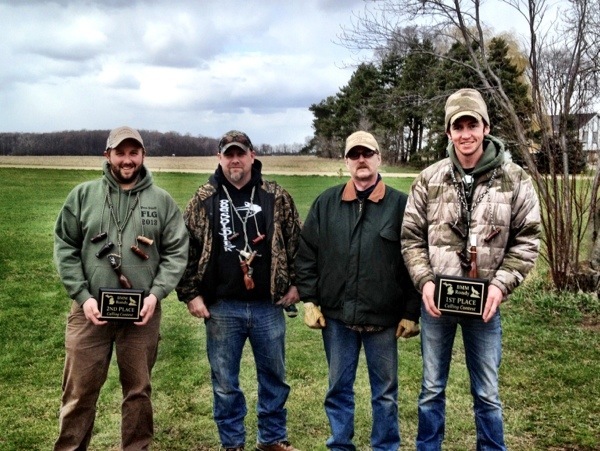 Opie and I pictured here with Yotehead Ed (Left) and Bob Patrick with Rare Earth Predator Calls (Right). Both of these guys are world class predator callers and they’ve been a huge help to both of us and have influenced our predator calling greatly! It was a great weekend and nice to hang out with a bunch of other predator hunters from around the state. Looking forward to next year already! I woke up this morning to this beautiful red fox doing a little mousing behind the cabin. It’s such an amazing experience to see a predator like this and be able to watch him in his own element as he hunted! Opie wasn’t able to hunt today so I spent the day in the woods solo. First few sets were cold but I was seeing good sign on most all of my properties. On the last set of the afternoon I called in a double at the 10 min mark. I saw them flashing through the brush at about 150 yards, they held up at a little over 100 yards behind some brush and I just couldn’t get a clear shot. After about a minute of them milling around I gave them a little bit of coaxing and had one coming in hard. I waited for a clean shot through the CRP and let the Model Seven rip. 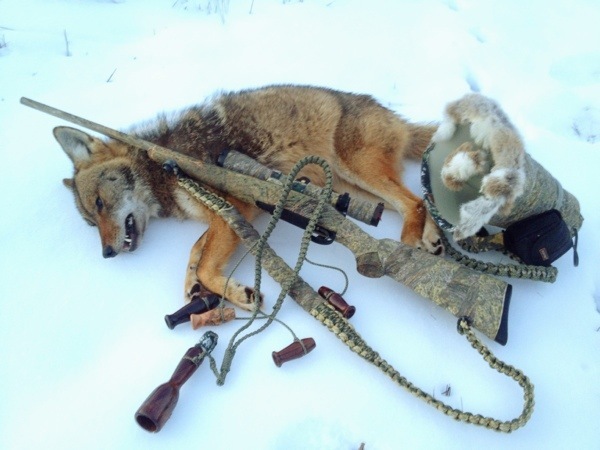 Dead Coyote! 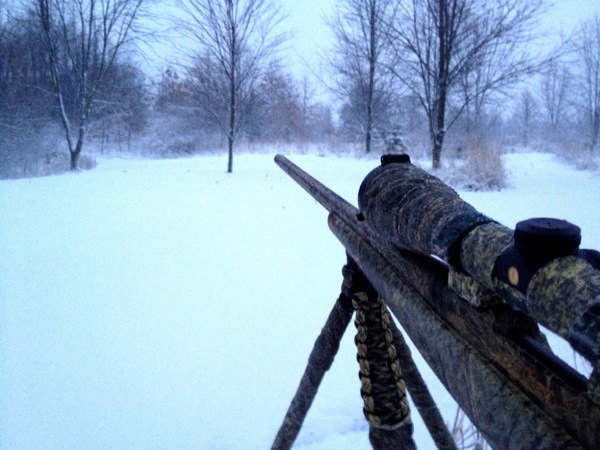 I wasn’t able to get a shot on the second coyote as it retreated back into cover right after I shot the first. All I used was my Rare Earth Howler and a little poke at the HSB a few times. Heck of a day in the woods today and a lot of fun! 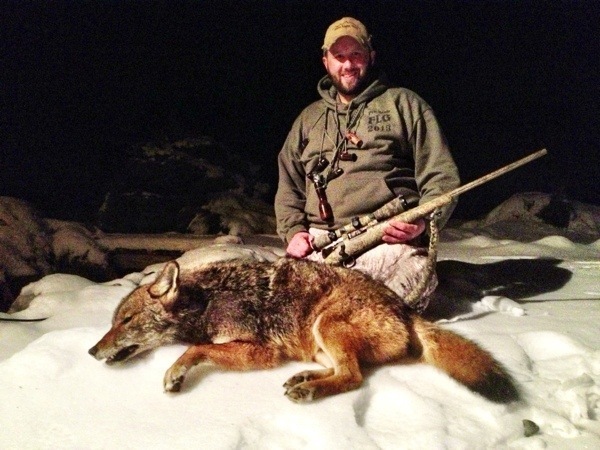 Gotta give a huge thanks to Yotehead Ed and Bob at Rare Earth Predator Calls. They are both great guys and amazing predator hunters who have taught me a great deal! Thanks guys!! 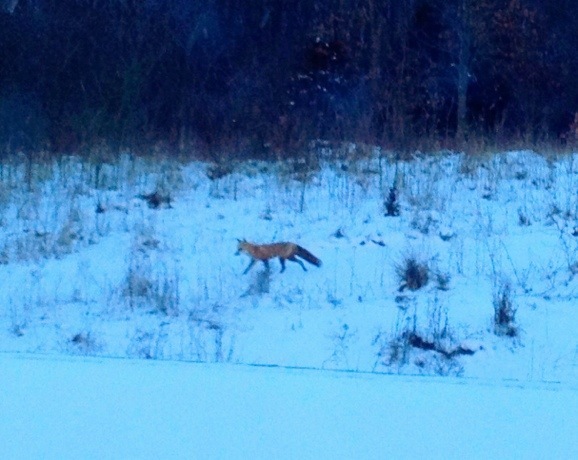 Chasing a red fox at the cabin in a total blizzard! I can’t think of any other place I would rather be right now. Life is good!